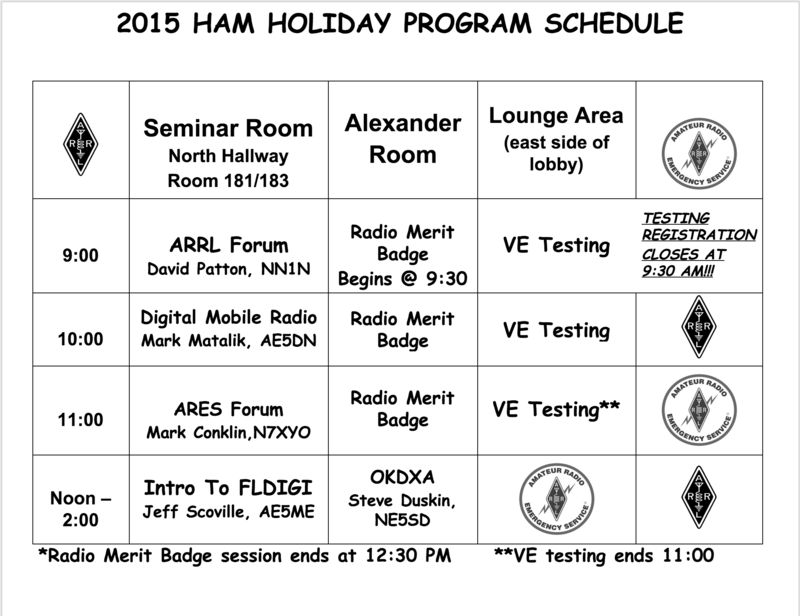 Ham Holiday 2015. . .
Ham College, the new show for those new to the hobby and those wishing to get into Amateur Radio. In episode 4 we talk about batteries, experiment with lemons, copper, and zinc plus more questions and answers from the Technical class question pool. You can either watch the episode online or download it. Ham Holiday is less than two weeks away. You won’t have to drive 100 or 200 miles to go to a great HamFest. Here is info, schedules, and more.